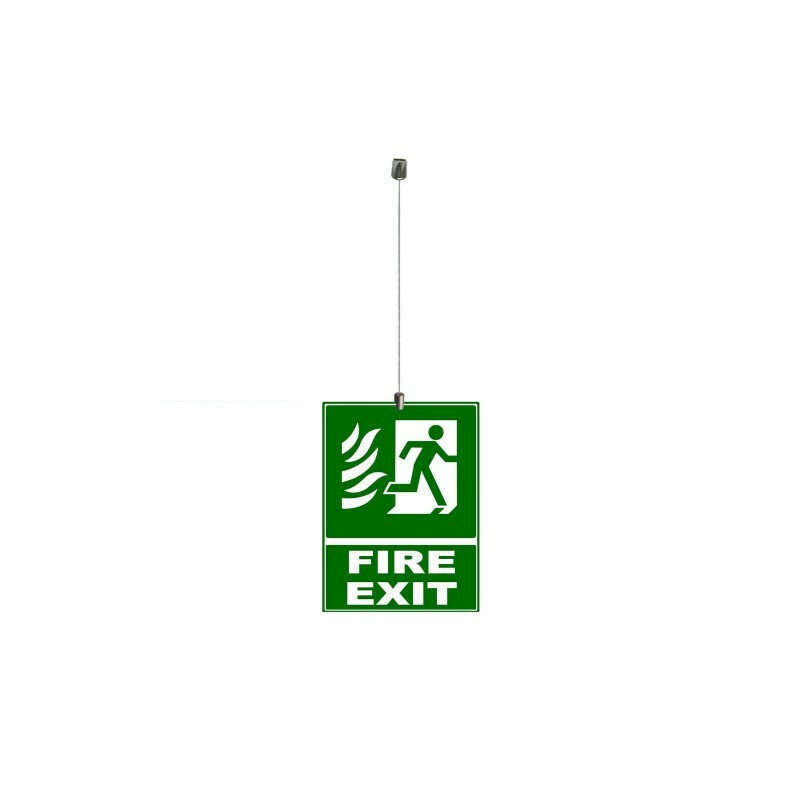 Hanging system or suspending signs. Heavy Duty High quality Kit all parts made with pure brass with polish chrome finish which make the kit elegant and reliable. in polish chrome finish. 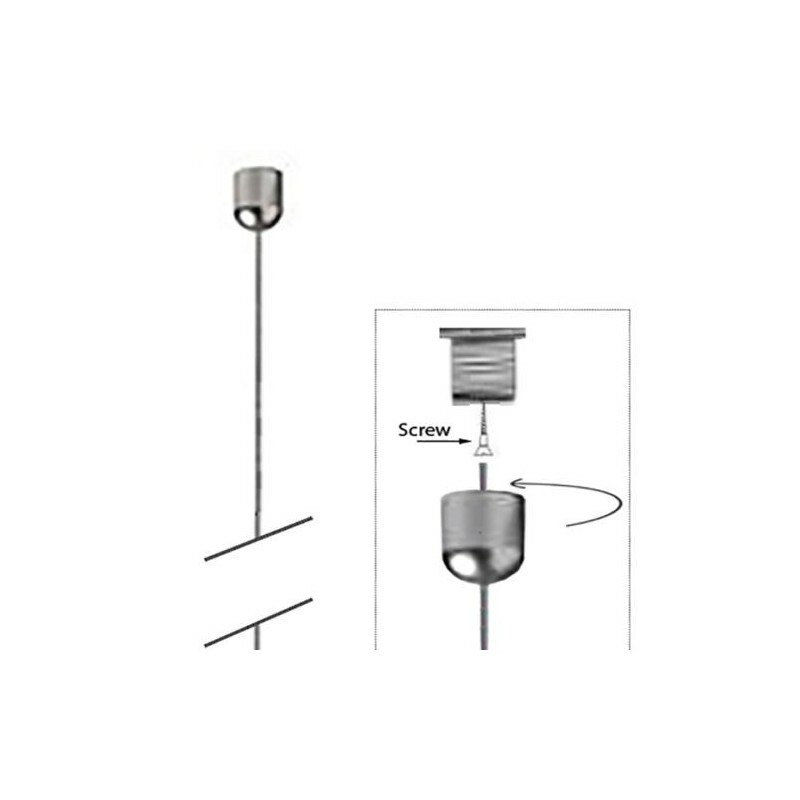 Panel Clamp ceiling hanging kit is used to hang glass panels, acrylic panels, wood panels, MDF panels. With this fixing kit you can hang panels from ceiling. 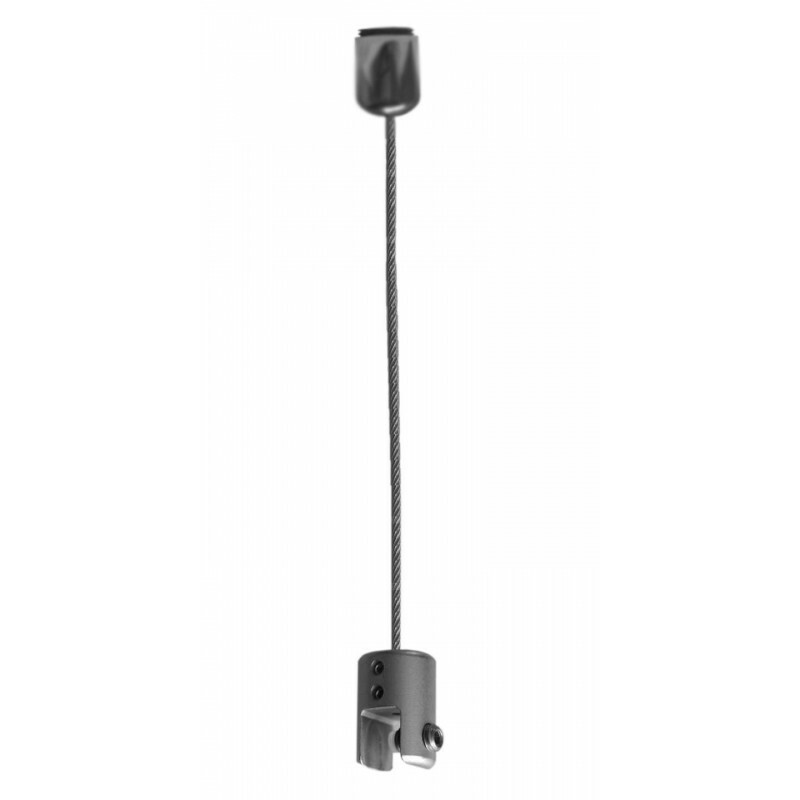 An essential item for retail stores, shows, point of sale, help desk, signage display. 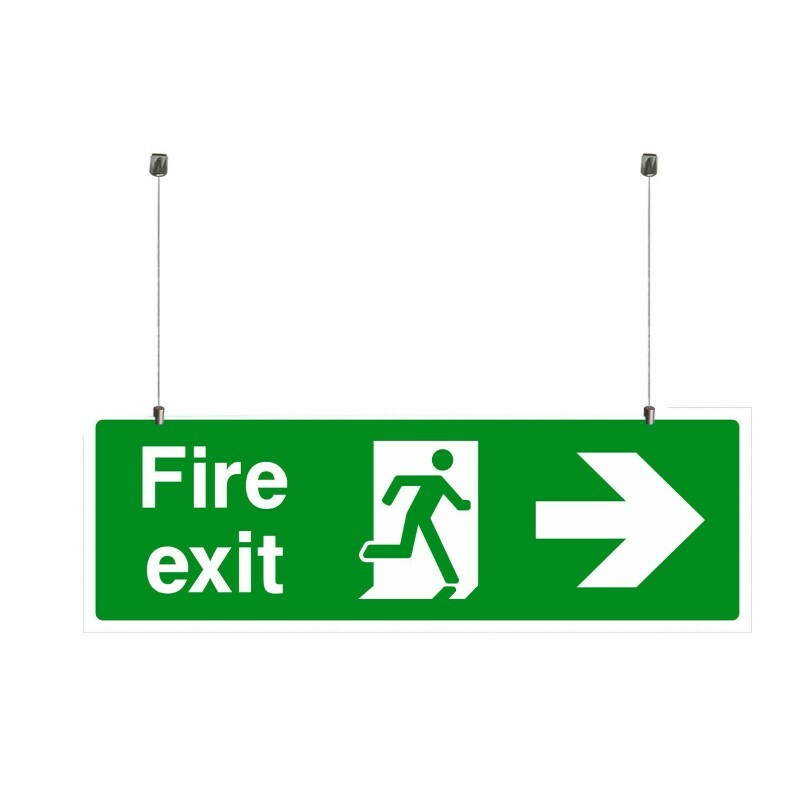 fire exit display, store signs display. Easy to use suspend cable from ceiling with ceiling fixing. cut the cable to size, insert in to the hole at the head of panel clamp & tight the grub screw. Next step slide in the panel in to the clamp & tight the big grub screw with plastic tip keep tighting the screw untill it grip the panel strongly. For up to 1 Feet wide sign you need one clamp set in the middle.For sings more than one feet wide you need 2 cables one for left and one for right. Clamp can hold any sign up to 9MM Thick. 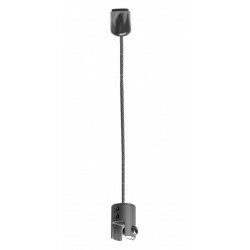 Very easy to install each cable comes in 2 meter length which you can cut to size as required. As you can see in the pictures cable has ceiling fittings at the ends which split it to 2 pieces one you screw in to the ceiling and other part cap you can tight on it.